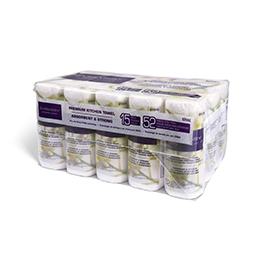 The inner individual Kitchen Towel rolls are made with premium quality paper and are poly-wrapped to help prevent contamination. Units / Pkg. 52 Shts.